I am not a book blogger and nor do I claim to be. However, I do enjoy reading. In particular UK YA. There is definitely no way that I could become a book blogger because A. I am not very good at reviewing books B. I don't read books that quickly and C. I tend to fall in and out of love with reading- sometimes I will do it for months on end and then I will lose interest. Why am I telling you this? Well today, I am going to be reviewing a book! I know, I know! Something that I haven't done on this blog before. Although I am not guaranteeing that book reviews are going to become a regular feature on my blog, hopefully, as I read more over summer, I might share with you some of my favourites . Talking of favourites, this is where 'Am I normal yet?' by Holly Bourne comes in. This book is something else. I hadn't read any typical teenagery books like this one, since my Jacqueline Wilson days, so I had no idea what I was about to read. All I can say is that it is probably one of the best YA (Young adult, in case you didn't know) books I have ever read. It contextualises mental health brilliantly. Even if reading or books isn't your thing, please pick up this book as a one off- you will thank me for it later! "All Evie wants is to be normal. And now that she's almost off her meds and at a new college where no one knows her as the-girl-who-went nuts, there's only one thing left to tick off her list... but relationships can mess with anyone's head- something Evie's new friends Amber and Lottie know only too well. The trouble is, if Evie won't tell them her secrets, how can they stop her making a huge mistake?" Am I normal yet? is about a young girl, who is just about to start college called Evie. You follow Evie through the normal struggles of most teenage girls at college; friendship, relationships, parties etc. , expect Evie is different. Evie has OCD and during the book, we follow Evie's thoughts and feelings as she battles through, trying to complete normal activities for someone her age but is constantly overwhelmed by these bad thoughts. Evie receives therapy for her OCD, which you get an insight into through her recovery diary at the start of most chapters. Along the way, you get an insight into Evie's friendships and how they have changed and developed over time. You see how she struggles to cope with her old friends from school, but more positively her forming relationships with her new friends- Amber and Lottie. 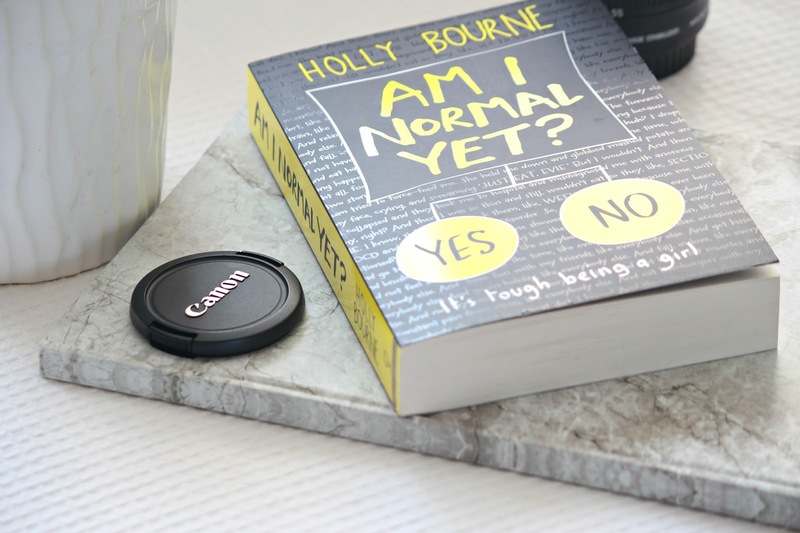 Asides from capturing the impact on mental health struggles on young people within the book, Holly also incorporates feminism within the book, which if you know me- is bound to be a winner. The girls set up ' The Spinster Club' where they talk about issues that affect women. These segments of the book are just fantastic, I wish there was more of them. Alongside feminism and friendship, you follow Evie's journey along with relationships and boys! Lots of boys! Relationships can be a struggle for any young person, but particularly someone with a mental illness, like in Evie's case. You follow Evie along a journey of many dates and boyfriends, all the bad thoughts she has and how she copes. You also get a glimpse into how Evie's mental illness affects her sister and her family, which is portrayed very accurately and very true, for many teenagers batting through mental illness. What makes this book stand out for me, is the very real way in which it is written. When writing about any mental illness, but especially OCD it is easy to fall into the trap of writing the stereotypical perceptions of what OCD is. But Holly doesn't do that at all. She is very careful with how she conveys OCD and mental illness, and of course, mental illness is very subjective- it affects each individual very differently. Holly does a fantastic job of not contributing to the stigma that surrounds mental health, by doing lots of research into mental health, she has been able to create a very real character which I know many young people, up and down the country, including myself can relate to. Not only is this book, factually brilliant and a great way of raising awareness of mental health struggles young people face. It's also bloody hilarious and so easy to read. Holly Bourne is a very funny and clever writer. There is genuinely some laugh out loud moments in this book. Additionally, because the writing is broken up by Evie's internal thought processes, it makes the whole book incredibly easy to read. Before I knew it I was halfway through and I had only picked the book up a few days beforehand. It took me, just over a week to finish the book- which for me, is pretty quick! So who do I recommend this book to? Everyone! If you have a mental illness, know someone that is suffering from OCD or another mental illness, if you want to find out more about OCD and how it really affects young people or you just enjoy reading and are looking for a new book to read, I highly recommend you pick this one up! 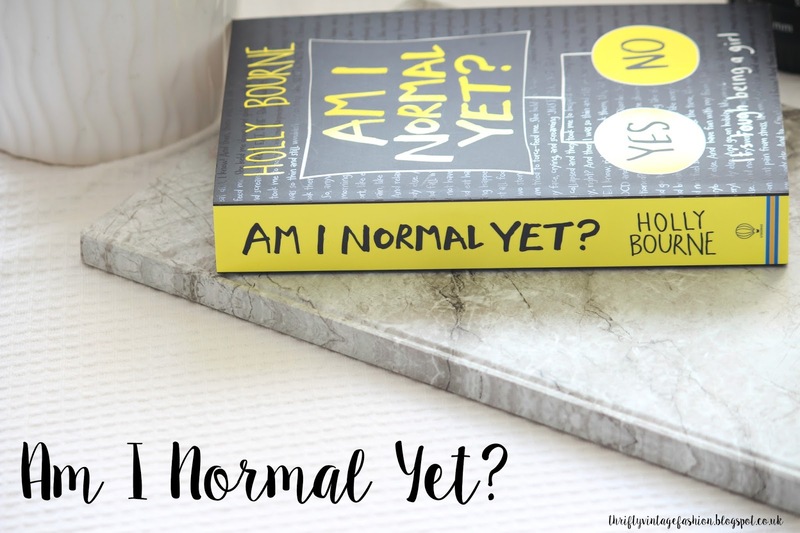 Have you read 'Am I normal yet?'? What were your thoughts on it? Let me know in the comments below, or if you have any other book recommendations that capture mental health really well! Let me know! I used to adore Jacqueline Wilson as well! And Jean Ure, I was obsessed with her books 😍 This book sounds like an amazing insight into mental health issues, no doubt a real comfort to those that experience them! I really want to read this now! I love YA books but I've never read anything like this before. I usually prefer fantasies and books like that but a book about mental illness actually might be a refreshing change from my usual reads. This sounds like a super interesting and good book! The more you talk about it the more I want to go pick it up at a bookstore! I'll be adding this to my list of books to read. Thanks for the recommendation! Im not much of a reader myself but i will definitely have to pick up this book! I think its good that you post a variety of subjects and as long as you enjoy what you post thats the main thing. Followed you on bloglovin 💖 Cant wait to see your next post! I love reading and this sounds like an amazing book! I will definitely put it on my to be read list! I'm not much of a book reader, sadly! Last book I was read was maybe, last year? This book however, sounds like something I would enjoy reading. It's refreshing to hear she doesn't portray the stereotypical characteristics of OCD. This has been on my 'To Read' list for ages! 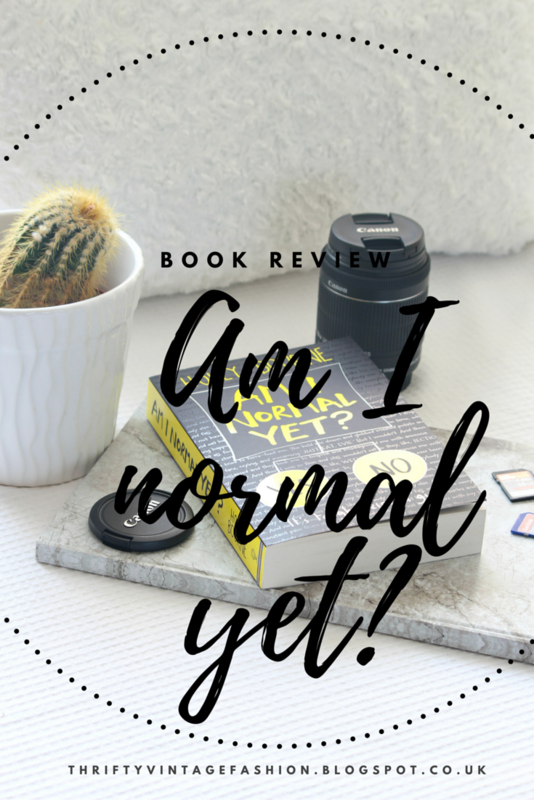 I definitely need to get back into reading and reviewing books on the other blog ASAP! It explores so many important themes! Very interesting indeed! More conversation about MH in young people is definitely needed and if we can like this then I can't imagine anything better. I'm interested in your book.